Home Auto Mania What does a racer do in the traditional lay-off period? What does a racer do in the traditional lay-off period? Formula 1 “shuts down” in November and does not publicly reappear until March the following year. Of course the teams continue to work, developing the new cars for the coming season, but that is F1. What happens in the less exalted levels of motor sport? Before going much further, I should explain what I mean by “less exalted levels”. This does not mean that I consider those categories anything “less” than F1. In fact, if it were not for the lower categories, F1 would not exist, something that the F1 industry should never forget. 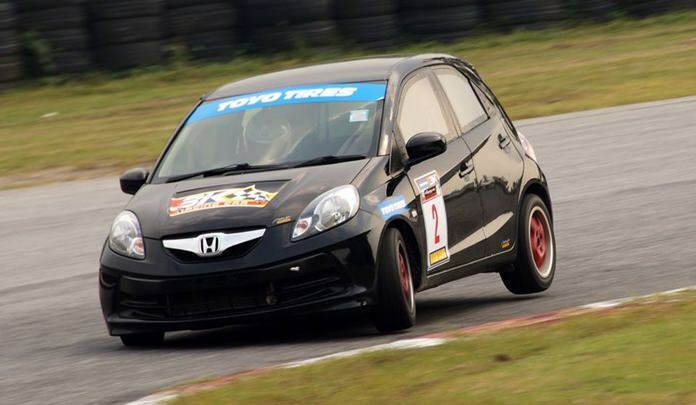 The “little guy” who runs his Honda in amateur races is just as important as all the F1 pilots. Believe me, I’ve been a “little guy” too. Now here is the secret of sponsorship. A secret because 99 percent of race drivers can’t, don’t or won’t see what has to be done, from the potential sponsor’s point of view. The Golden Rule is that you have to tell potential sponsors what you can do for them – not what they can do for you, or how they can benefit from being involved with you. You have to work out what you can do for them, that they could not otherwise do for themselves. This takes time and thought by you, and is what takes up much of your off-season. A race car is not, as many think, a high speed billboard. In fact, many times you can’t even read the signwriting as the car speeds past. As a mobile billboard, race cars are not good value for a sponsor. So where does a sponsor get value? Go back to the concept of “what can you do for them”. Take for example, a body shop (something all race car drivers need). Race cars do attract attention. Brightly painted, they attract young males like bees to the honey pot. For a panel shop, you could propose that you leave the race car there, where it could be positioned outside on the forecourt every Saturday morning, and you will be there in person to answer questions. Not just questions about your race car, but questions about the panel shop. What paints are used? Do they have a jig to pull cars straight again? Is it accepted by insurance companies? You, effectively, become a promotions arm for the business. You are doing something for them. That same concept works for every type of business that may sponsor you. You become the promotions team for that business. You have to know everything. Prices, delivery times, size of company, how long it has been established – everything. That takes time and study, and that is what takes up your time in the lay-off period. Learning to become a good representative for your sponsoring companies. You are offering potential sponsors a “free” employee – and everyone likes getting something for free! Of course, your services are not really “free” as you want to receive something in return. That something is goods and services which will keep your race car going for the next 12 months. Panel and paint, batteries and auto electrics, tuning services and tyres are all items that are expensive if you have to pay for them out of your own pocket, but taken in the context of a large company’s budget, is just a drop in the ocean for them. At the level of the “little guy”, you are bartering your services as a promotional arm for them, in return for their goods and services. For corporations, this is much more attractive than handing over amounts of cash. Something to always remember. Certainly, when you begin winning championships, then you may have a monetary value as well, but “little guys” have to start small and work up. Even the highly (over)paid F1 drivers started by getting goods and services until they became noticed. Think about it. How much better will you go with a bigger Honda, rather than your Eco car? It is possible, but it does require time and effort, and the best time is in the lay-off period. Happy sponsor hunting!